From the place Abraham Lincoln sat when he learned he was President to the beautiful works of art in our halls, discover Ohio's history around every corner. 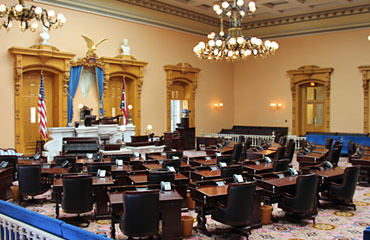 The Ohio Senate is the upper chamber of the Ohio State Legislature, which is also composed of the Ohio House of Representatives. The state legislature is the law-making branch of state government. The members of the Ohio Senate represent all 88 counties in Ohio, divided into 33 districts. The Senate works in coordination with the House of Representatives and the Governor of Ohio to enact, amend or repeal statutes which make up the body of laws by which we are governed. Members draft, debate and approve bills and resolutions. 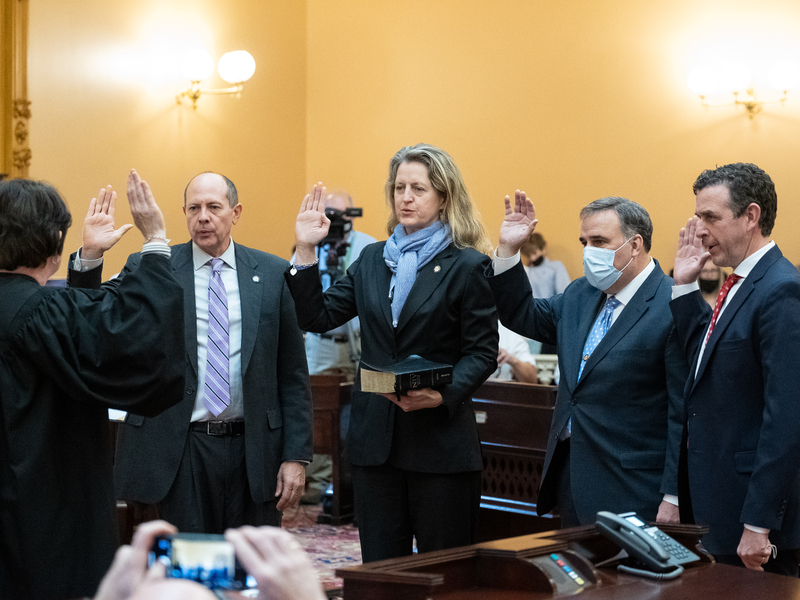 The legislature also serves as a check upon the executive authority of the Governor and helps ensure that the interests of Ohioans are represented. Whether in the Statehouse or in their communities, senators work hard to develop sound policies that reflect those things Ohioans value most – creating jobs, providing a quality education for our children, protecting our families and helping the less fortunate. We want this website to help you follow and participate in the legislative process and make it easy for you to share your opinions with your senator. The people of Ohio elect members of the Ohio Senate from 33 districts that vary in geographic size, from part of a single city to several counties. Each district represents approximately 350,000 Ohioans and is comprised of three House districts. Under Ohio law, senators may serve up to two four-year terms or eight consecutive years. Each general election year, about half of the state Senate is on the ballot. All senators are sworn in on the first day of session in the beginning of a new General Assembly, or two-year legislative cycle. We are currently in the first year of the 133rd General Assembly (2019-2020). Session is the meeting where all senators assemble to cast votes on bills, resolutions and executive appointments. By law, the Senate President calls the Senate to order on the first Monday in January for each new General Assembly, or two-year cycle. After the first meeting, the Senate meets at the direction of the Senate President, who presides over each session. View the current Senate Schedule here. Senators meet in the Senate Chamber of the Ohio Statehouse to debate and vote on legislation. During session, members of the public are welcome to visit and sit in the Visitor's Gallery. You can also watch session and committee debate live here on our website or on public access channels, broadcast by The Ohio Channel. All sessions are also archived and can be accessed here. Each senator has staff who specialize in helping you navigate state government. Sometimes it is difficult to know which federal, state or local entity to contact for help. Your senator's office can help point constituents in the right direction or help resolve certain issues with state government agencies. Issues involving state agencies, such as the Ohio Department of Job and Family Services, the Ohio Department of Medicaid or the Ohio Department of Education. A full list of state agencies can be found here. Expressing your opinion or concerns about pending legislation. Sharing an idea for new legislation. Acquiring information about Senate committees and how to testify on a bill. Requesting a commendation for outstanding accomplishments or milestones. Scheduling a visit or a tour of the Ohio Statehouse. Requesting a visit by or a meeting with your senator. 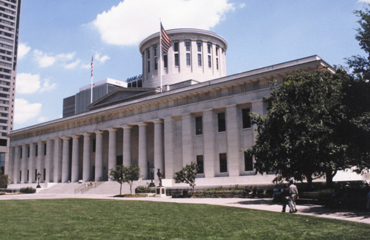 The Ohio Statehouse is one of the oldest working statehouses in the United States and one of America's finest examples of Greek Revival architecture. It was completed in 1861 after 22 years of construction. Meticulously restored to its original grandeur in 1996, the Statehouse is filled with incredible history and priceless art and offers fascinating history lessons to visitors of all ages. Find information about guided and self-guided tours here. The Senate Chamber is also open to the public anytime the Senate is in session or during guided Statehouse tours. Your senator's office is open daily from 8:30 a.m. – 4:30 p.m. Monday through Friday, or otherwise by appointment. Find your senator's contact information here.